Welcome back to Something About Coins! 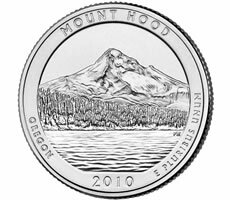 The U.S. Mint is launching a few more products this week, including the Mount Hood National Forest America the Beautiful Quarters 3-Coin Set. The Magnolia Collection of early U.S. gold coins sold at auction and Greg Reynolds highlights some of his favorite coins from it. Silver coins are still hot, including the U.S. Army commemorative silver dollars and possibly their knock-offs too. The European Commission has opened a design contest for a commemorative 2-euro (3- dollar) coin, and Wayne Sayles provides an update on the fight against import restrictions of common ancient coins. Enjoy!